Dependable Caterpillar 3412E engines. She can run comfortably at 28 knots and tops out at 34 knots. The bridge features a Pipewelder's hardtop, EZ2CY three-sided enclosure, pop-up console with complete electronics, bow thruster and Mathers single-lever controls. Intellian SAT TV dome new in May 2018, also recent SAT phone and Garmin chartplotter. The interior woodwork is flush-fill, high gloss teak, and the decor throughout is tasteful. There are three staterooms (two with queen-sized berths, one with large over/under bunks) and two complete heads. Boat had a paint job completed November 2016 and looks very good. 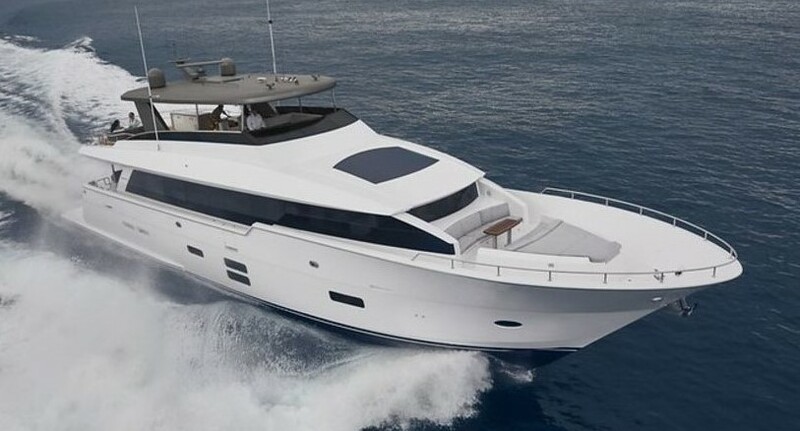 This is one very comfortable boat which offers an excellent ride in almost all sea conditions.